Stay in Normandy's best hotels! Offering panoramic views of the cliffs of Etretat and the sea, this cliffside hotel is located in 4 hectares of gardens and offers direct access to the beach and an 18-hole golf course. Comfortable & clean. Good facilities. Wifi worked properly. We didn't take breakfast (many boulangeries and a Carefour market nearby), so can not review food options. Private parking is an advantage. Hotel Reine Mathilde is in the medieval district, just 330 yards from the Bayeux Tapestry Museum. It offers free Wi-Fi access and modern guest rooms with private bathrooms. Had a warm welcome from the staff though we arrived at midnight. Room was well furnished, super clean and had a nice scent. Hôtel Spa Les Pins de César is located in Saint-Jouin-Bruneval, 5 mi from the Étretat Cliifs. The hotel has a swimming pool and spa facilities including a sauna and a hot tub. The location was so serene, and the property was absolutely beautiful! Our room was beautiful, and the bed was super comfy. All of the staff were very friendly. Loved having a hot tub and heated pool! Located opposite Fécamp Port, just 656 feet from the beach, Hotel Le Grand Pavois offers a piano bar and air-conditioned rooms with balconies and free WiFi access. With a private terrace, Hotel La Villa Julia is located in the center of Agon-Coutainville, 2625 feet from the casino and the horse track. The hotel is located just 328 feet from the beach. The hotel is well situated, short walking distance to the beach, restaurants. This boutique hotel is located in Rouen’s historic center, next to the Gros Horloge and 1.2 mi from Kindarena Stadium. This hotel is magnificient with pool & spa. The staff is professionaland friendly. The Chimène Hotel is located less than 0.6 mi from the ferries to Portsmouth, Poole and Ireland and a few steps from Cherbourg city center, Cité de la Mer and the harbor. Wonderful hosts, Jean-Louis and Ludivine! Large, comfortable, quiet room. Located in Le Vaudreuil, Grand Slam has a terrace and shared lounge. Featuring a shared kitchen, this property also provides guests with a restaurant. Guests can use a bar. As the restaurant on site closed early we were provided a list of nearby restaurants. Built on the site of a Cidre orchard, 16 Chambre d'hôtes offers accommodations in Tessy-sur-Vier, 27 mi from Granville. Located in Surville, Manoir de Surville provides free bikes and free WiFi throughout the property. Boasting a shared lounge, this property also provides guests with a sun terrace. Le Clos is a 4-star chateau in Normandy, in Verneuil Sur Avre. It offers air-conditioned rooms, a restaurant and garden. Free Wi-Fi is available throughout the hotel. The property and the staff are impeccable. Blending peaceful surroundings, a host of high-class facilities and original 18th-century charm, the Chateau-Hotel De Belmesnil offers a peaceful backdrop in a sumptuous setting. Campanile Rouen Mermoz in Rouen features 3-star accommodations with a terrace. New hotel, very modern furniture, comfortable beds and very friendly staff. Featuring free WiFi throughout the property, Premiere Classe Le Havre Center offers hotel accommodations in Le Havre. Was great. I booked wrong dates (month) still I was helped upon arrival. Ace Hôtel Caen Nord Mémorial offers pet-friendly accommodations in Caen - Saint Contest. Free WiFi is available throughout the property and free private parking is available on site. Very friendly and helpful staff! LOVE the parking too. Nomad Hotel le Havre is located in Le Havre and offers air-conditioned rooms with free WiFi access and a modern-style decor. Guests can enjoy the on-site bar. The room was small but very efficient! An inspiration for the works of artists like Boudin and Monet, these chalky white cliffs create a stunning yet dramatic scenery. 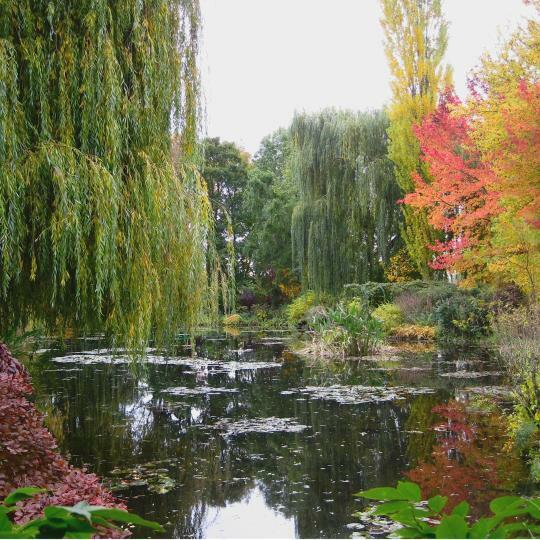 An inspiration for many of Monet’s own paintings, these gardens are typical of Normandy, with climbing plants and water lily ponds. This striking Gothic cathedral is one of the main attractions of Rouen and was the main subject of many paintings by Monet. Visit Le Havre’s city centre, a UNESCO-protected area completely redesigned by architect Auguste Perret after World War II. 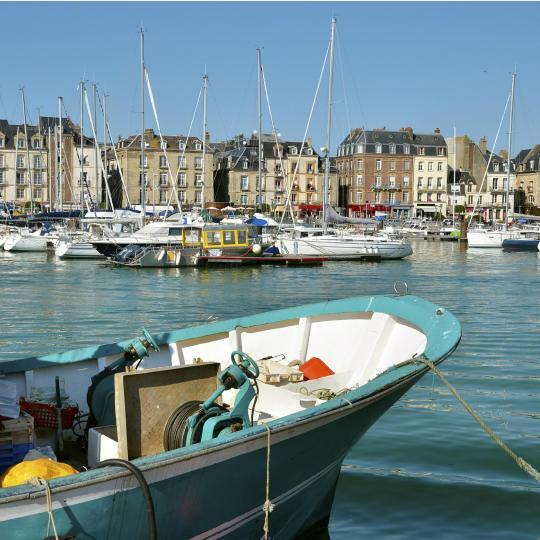 This port has been the gateway between the UK and Normandy since the 1800s. Admire the charming Gallic buildings surrounding the port. 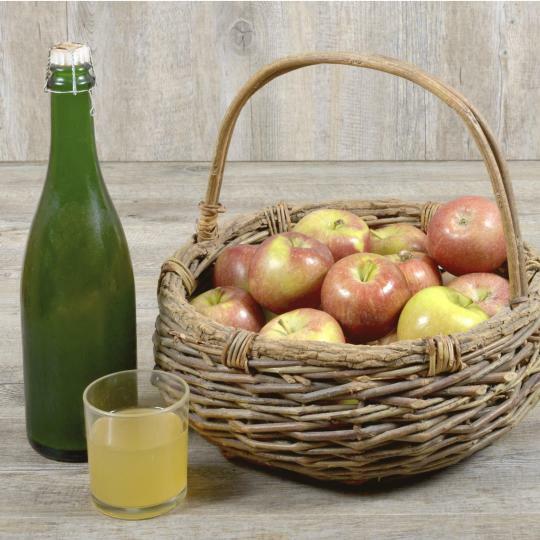 Follow these trails through the Pays d’Auge to learn more about the local production of cider and the famous Camembert cheese. 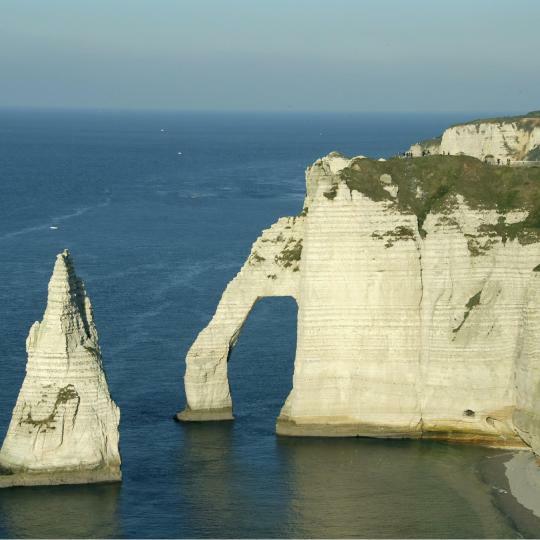 Visit the picturesque beaches along the 80-km Normandy coast where allied troops fought for their countries against occupied France during World War II. Originally founded by the Vikings, this port was where the expedition that finally founded Quebec departed from. 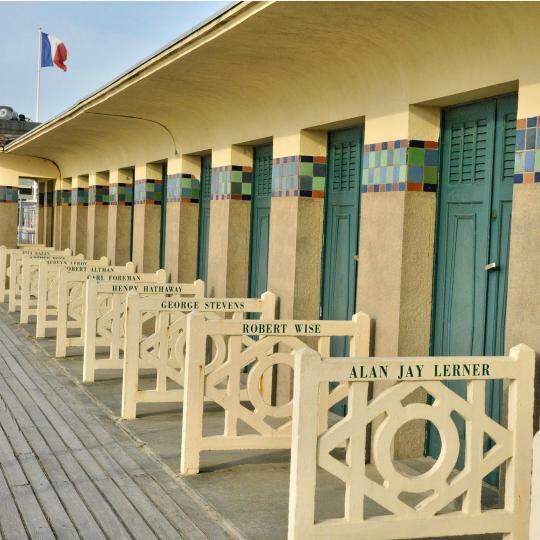 Check out the resort’s Promenade des Planches, consisting of a wooded walkaway parallel to the beach and huts dedicated to famous movie personalities. 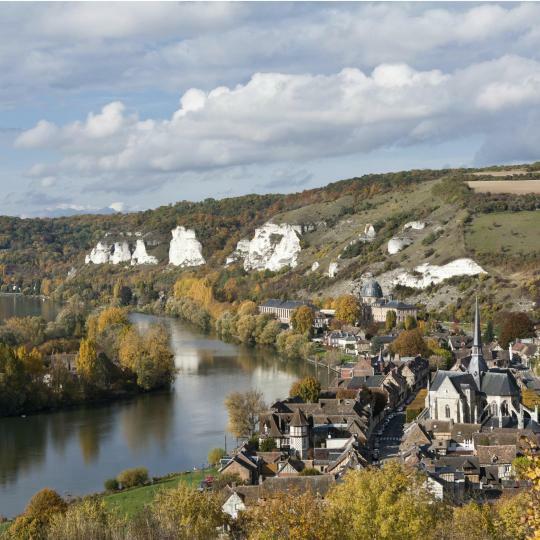 Divided into 2 parts, the Grand-Andely and Petit-Andely, this Norman village lies on the Seine River and includes sights such as Château Gaillard. The Tapestry was worth the trip from Paris. The Tapestry was worth the trip from Paris. It is amazing. The cathedral is also beautiful. The Battle of Normandy Museum was a long walk from the center of the city. It had lots of information about the preparations for the landing. Maybe too much for some people. We are history buffs and enjoyed learning some new facts. The Tapestry Museum and the Basilica are incredible as is the Museum of the Battle of Normandy. The Lion d'Or is a wonderful experience especially for Americans. Make sure to make parking arrangements before you arrive and to be at the Tapestry Museum as it opens to avoid significant crowds. Nice walking town. Cathedral is most impressive . See the Tapestry free on Sundays! and catch Overlord Tours to see D-Day. Wanted to do the Normandy battle museum but short of time. Others said it was well worth the effort. Definitely a summer vacation town. Definitely a summer vacation town. Most businesses were closed during the week. Great location for a home base to see many of the Normandy sites. Was a small town so getting around on foot was easy. Full day tour of D-day in Normandy. Full day tour of D-day in Normandy. Our guide Jon with Bayeux Shuttle tours was outstanding. The half day tour of Omaha and Utah would not have given us the thorough understanding of the challenge, which the all day tour did so well. Bayeux Tapestry can be seen in about 15minutes, plus another hour or so in the museum lovely old town to walk around....no WWII bombing, so old buildings intact. Trévières is situated right in the middle of Normandy beaches, quaint towns and plenty of sight seeing. It is close to main roads and easy to get to. Gorgeous countryside! Loved tbe medieval town of Bayeux. Loved tbe medieval town of Bayeux. Four nights worked out perfect. We stayed at two locations in Bayeux, Hotel Rene Mithide in the center of old town and a B&B,Clod Dr Bellefontaine, also close to the center. Both great places with a different atmosphere. First day went to see Omaha Beach,D-Day, second day Mont-St Michel, third day stayed in Bayeux to explore and fourth day on our way back to Paris stopped at Hansflur. Great eateries in Bayeux: Le Moulin De La Galette & Le Lion D'or. Normandy is beautiful. I will return. Caen is full of rich history from the middle ages with beautiful cathedrals, nice city center, interesting WW1 history with a wonderful Memorial museum as well as castle & museum. There is an excellent public transport system. The are many other cities and the Normandy region & beaches to explore, easily accessable with tours, trains, buses or by car. Close to Beach of Normandy by car. Great little town close to Normandy. Great little town close to Normandy. Easy to walk and to get around. Don’t miss the Tapestry! A little tricky to get to from CDG airport by train but doable. Make sure to schedule a Normandy Tour, well worth the cost. La Maison de Honfleur was everything we were hoping it would be - comfortable, large rooms (especially appreciated after being in a small Paris hotel room for a week); a convenient location - just a short walk to the harbor; amazing breakfasts - especially the homemade crepes: and a lovely host. Christiene made our party of six at home for 4 nights - we wished we could have stayed longer. It was picture perfect. Our two families highly recommend La Maison de Honfleur and will tell all our friends and family to stay there when visiting Normandy! The structure containing the hotel was built in the XVIIth century. We just love old buildings, which is one reason we keep coming back to France. Our room was spacious - quaint & adorable with lots of old charm - which was exactly what we also love. The courtyard is beautiful. It is just a short walk to one of the loveliest fishing villages in all of France, Europe, or perhaps the world. October travel missed the summer crowds. Consider staying here if you are planning a trip to Normandy which is nearby. Owner Anthony is an exceptional proprietor. He is transforming this chateau in the center of Bayeux into a superior boutique hotel, with lovely gardens, updated accommodations, a breakfast of fresh, local products and to-order eggs. He also is a gracious host, eager to provide insights into the area and recommendations for dining and the sights of Normandy. Plus he has a wonderful sense of humor. Anthony is engaging and expansive, and he's the star of a terrific visit. Great location. Beautiful court yard, gardens, breakfast areas, and rooms. Lovely rose bushes line walkways through the grounds. Room was very cozy and pretty with big beautiful windows., nice bed,, and large clean modern bathroom space. Hotel staff were very friendly and helpful. Perfect home base to explore Bayeaux and Normandy area. 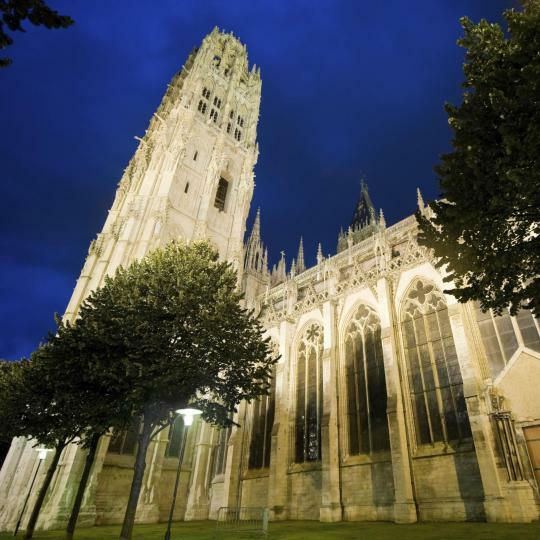 Short walk to cathedrals, museums, restaurants, and river. Very short taxi trip to and from train station. As usual when we travel, we pick a spot and stay there about a week. Then we take side trips to points of interest. The Hotel Churchill in Bayeux, France was a central site in Normandy. The owners, Eric & Patricia, were on site every day and could not have been nicer. When we arrived, we could not find the hotel by car (curse you GPS). We walked there and Patricia went back to the car and drove with us to the hotel! We loved everything about Villa Lara Hotel and Bayeux! Fantastic accommodations! We felt as if we were in a small provincial villa, but with all of the modern comforts and amenities. Very comfy bed. Staff and owner were fantastic! We upgraded to a suite and had the most amazing view of Notre Dame Bayeux. 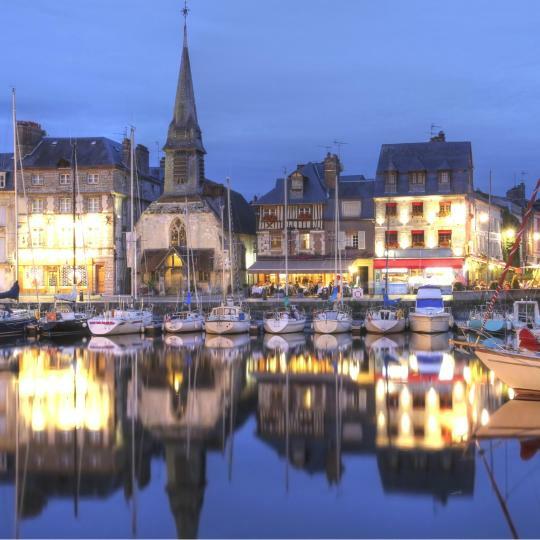 Close to Normandy, with the benefit of a town with restaurants, shopping. Parking available. This hotel is a great home base in the Normandy area. Our room was decorated in a traditional French style and was comfortable and quiet. The breakfast selection was varied and of good quality. 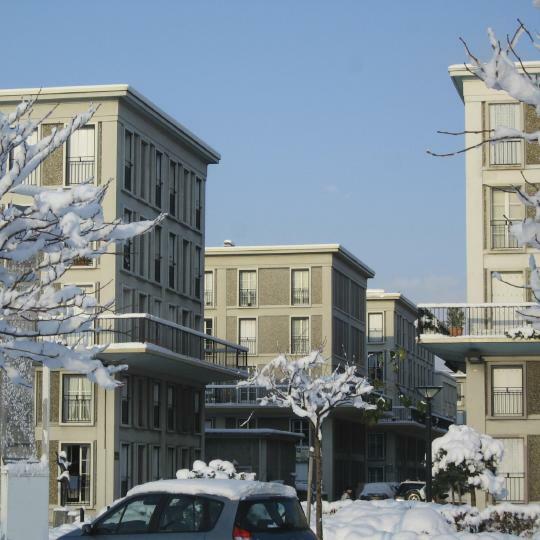 The hotel location is great - within walking distance of the train station as well as many restaurants and tourism sites. The hotel staff was courteous. We would stay here again. Surprisingly ample breakfast. The managers arranged an educational and enjoyable tour of the Normandy beaches on short notice. The hotel is located in a quiet but very walkable part of Bayeux. Would happily stay there again. From observation the hotel seemed to work very well for families with young children as well as older solo travelers. Laurent, the owner of this hotel/B&B, is a wonderful host. We felt like a welcome guest in her home. The room was spacious, comfortable, quiet and located in the center of the old city of Bayeux. Parking is readily available and safe. We plan to revisit the St. Croix whenever we are in Normandy. Great Hotel choice and a good option for seeing the Normandy beaches. The staff went out of their way to help. The only negative was the on site restaurant which was very overpriced with extremely small portions. However, I would stay there again in a heartbeat but I would not use the restaurant on site. What a great place to stay in the lovely village of Bayeux. The apartment is very near the cathedral and center. It is very spacious, clean & quiet and very well appointed with supplies for a pleasant stay in Normandy. Highly recommend! Loved the room, bed and bathroom. Excellent breakfast choices, fantastic and very well informed front desk staff. It’s a very small hotel but just a lovely place to stay when visiting Caen or the Normandy historical sites. This is an excellent accommodation if you are visiting the Normandy sites and want an economical hotel. If you are not planning on staying long in your room then the small room and low price are perfect for you. Great location, lots of restaurants within walking distance. We signed up with a Normandy tour which picked us up at the hotel. Plenty of free parking near the hotel. Would definitely come back to this hotel. Hotel was updated and clean. 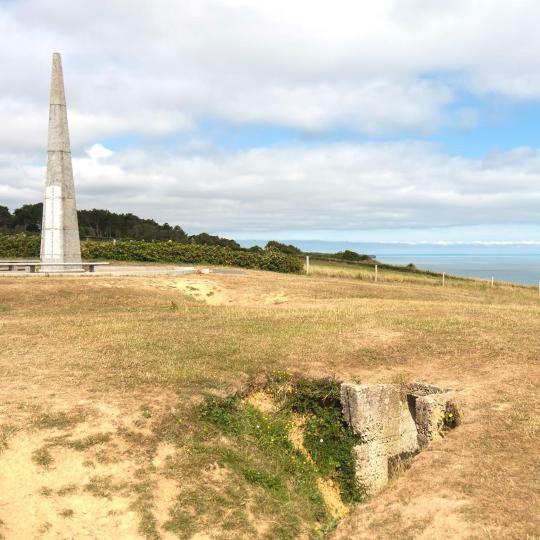 It is a great place to take a tour of Normandy-Omaha and Utah beach, museums, US cemetery, and Point De Hoc. Our room was very nice. The cleanliness of the room was excellent. I would like to recommend this hotel for your visit to Normandy. The hotel is in the heart of town and walking distance to Cathedral, Tapestries, and the start of Normandy beaches tours.